Do you think you can you really just think and grow rich? Well, you’re in for a rude awakening. I am sure that even Napoleon Hill would agree with me that you cannot merely think and grow rich. 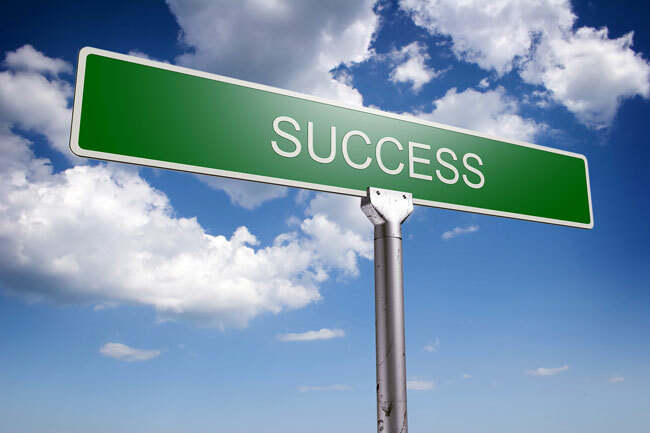 The Law of Attraction only works when paired with what I like to call the Law of Action. As a former manager of large building projects, I know that you can’t think a building into being. That would be absurd. Yes, every project begins with a vision and inspiration. But you can only visualize for so long. For the building to take form you need detailed blueprints. Then you need to assemble the right materials. And, finally you need to hire the right people with the right skills set. RELATED: 6 Powerful Law of Attraction Quotes to Help You Change Your Life! Why would you think that’s any different with your business and life goals? I’ve talked to many people who visualize and use affirmations waiting for the Law of Attraction to work but they remain stuck in a rut. They’re sitting around wondering why they’re not making any progress. They are missing ACTION. They are NOT taking steps to achieve their goals. It’s like they’re waiting for results to come on a silver platter just because they’re visualizing success. I’m going to tell you right now – you get exactly what you put into it. If you take action and you increase your speed of implementation, you’ll experience a phenomenon. In fact, there’s a good chance that you’ll be able to achieve more in the next 12 months than you did in the previous 12 years. Law #1: Take a look at your affirmations and make sure they are about things you have a true passion for. That probably sounds obvious but all too often we pursue things because it pleases a family member or because we think it would be financially lucrative, even though our heart isn’t in it. Law #2: Use very precise wording when visualizing or using affirmations. Instead of saying, “I’m a millionaire,” say “I’m in the process of becoming a millionaire real estate investor.” Be precise and acknowledge that you are in the process of becoming whatever it is you want to become. It will be easier for your subconscious to align itself with that. Law #3: Create weekly and monthly goals. This is where the Law of Action enters the picture. Sit down with your calendar at the beginning of each month and write down your goal for that month. Maybe it’s a specific income goal or a goal about closing a real estate deal for example. Then write down the specific actions you will take each week to accomplish that goal. Also include actions such as training, reading and networking. Law #4 Have a clear plan for your day and be sure to reflect and learn from the powerful lessons that come your way each day. Ask yourself these 7 key questions at the end of every day. I have found that when I do this in a purposeful manner, everyday, it completely changes both my outcomes and my outlook on life. * What made me happy today? Think of all the things that made you happy, and list them. They could be the beautiful sunrise, the smile of a child, a connection you make with someone or the difference you made in the life of someone. * What am I grateful for today? Instead of complaining, try being grateful for everything you have. Remember that most people in the world likely have far, far less to be grateful for than you do. * What lessons did I learn today? Life is full of lessons both small and big. We learn from both the good things that happen to us and the not-so-good things. Write these lessons down and review them once a week and over time you will be amazed at how much you have learned. * What was my good deed today? * What was important to me today? Reaching milestones, targets, and acquiring new customers is important to me. But do I really want those milestones to define what is the most important to me? 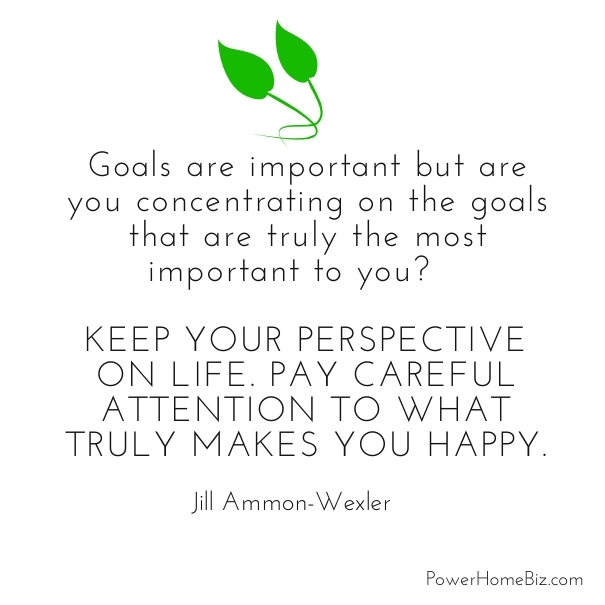 Yes, goals are important but am I concentrating on the goals that are truly the most important to me? Keep your perspective on life. Pay careful attention to what is truly makes you happy. * What did I do to move me towards my goals today? As you reflect on each day, think about the three or four key life goals that you have outlined for yourself. Ask yourself honestly how the things you did today helped you stay on track with one or more of those goals? * What will make tomorrow even more outstanding? Every day, I visualize what my next day will be like and what outcomes I will achieve. I prescribe an amazing day for my next day. A funny thing happens. That is exactly how the vast majority of my days appear. So go ahead and prescribe a fantastic day full of purpose every day – and watch yourself attracting what you visualize, day by day!